This month’s edition of the News is a very special one as it is the occasion of a triple celebration. Firstly it is our community paper’s 200th edition and thus marks an achievement that few of those associated with the paper’s humble beginnings could have imagined.The R-LCNEWS is now into its 18th year of unbroken production and has never been stronger in terms of its circulation and support from the community. The second reason for celebrating this edition is that it also marks a major milestone in the publication of the Local History articles: this will be the 100th article since I interviewed Connie Fordham nine years ago and published her story in the November 1990 issue. Since then I have interviewed more than 35 older residents and ex-residents of the district and their stories have provided us with a comprehensive knowledge of the people of the district and events that have occurred within the span of their collective memories. Many of those old hands have passed on but happily Connie is still with us as full of life as ever as she enters her 95th year and her 62rd year as a resident of Rowville. Another old hand who no longer lives here but who still maintains a great interest in Rowville is Bernie Seebeck whom I had the pleasure of talking with at a Knox Council function recently. Bernie has just turned 92 and has finally agreed to be interviewed. I hope to be able to publish his story early in the new year. Since that first interview with Connie I have become dedicated to revealing the history of this fascinating area. Not only were the stories she told of great interest but she also revealed just how much time and energy she and the other old timers had put into making Rowville and Lysterfield such good places to live in. I was caught up by Connie’s enthusiasm then and it is a spirit that has never left me. I hope to interview Connie again soon and I’m sure that you will gain a great deal of pleasure from reading her article next year. The third reason for celebration is the fact that our recently gained Federation Grant to publish these Rowville and Lysterfield stories has already commenced to bear fruit. A consultative group supported by representatives of most of the local schools has met twice and drawn up a plan of action and a timeline for the implementation of the project. Toy Satellite, a group of talented young people in the field of multi media, have been commissioned to transfer the stories onto an enhanced web site. Also, they will be producing a CDRom that incorporates the stories and photographs as well as audio and video segments. A feature of the web site will be a “back end” facility that will allow additional material to be added to the web site by both the News team and other interested members of the community such as students and history enthusiasts. Toy Satellite hope to have the web site and CDRom ready for action by the middle of next year. The role of the News team will be to edit all of the material, to complete the indexing of it and to prepare a comprehensive bibliography of the known recorded sources relating to Rowville and Lysterfield. To assist with the latter task some funding has been earmarked in the grant to employ one or two post graduate history students from Monash University. They will also be asked to provide an historian’s overview of the entire project. As well, with their trained eyes, they will see parts of our history that will require further research and elaboration. Finally we will produce a limited edition loose-leaf book for those who would prefer to peruse their history in a more traditional way. 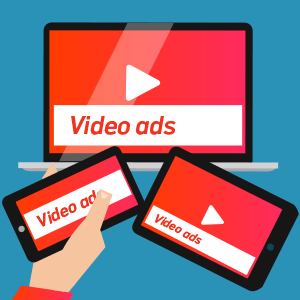 One of the very exciting developments that has already emerged with this project is the probable involvement of a group called Cinemedia. The people at Cinemedia have been charged by the government to set up the multi media kiosks and displays at Federation Square which is currently being constructed in the city between Flinders Street and the Yarra. They are very enthusiastic about what we are doing and see our project as a great example to other communities throughout Australia of what can be done to preserve and present local histories. If our web site, CDRom and book receive exposure by becoming part of the materials used at Federation Square it will be a tremendous boost for Rowville and Lysterfield. As part of our Federation project I have been asked to write a general introduction that will point to and briefly illustrate the kinds of events and people that have shaped Rowville and Lysterfield both physically and socially. What follows will indicate something of the structure that the project will evolve into. *the impact of urbanization from the 1960s up to today. *The Town Planning decisions that have shaped Rowville and that are currently shaping the Lysterfield landscape. The aboriginal people had frequented this area for thousands of years before European settlement. At the time of settlement the two groups that passed through this district were part of the Kulin nation and were the clans of the Bunerong tribe (also recorded as Boongerong and Bunurong) and the clans of the Wawoorung tribe (also recorded as Warwoorong, Woiworong and Waverong). The white settlers referred to the Wawoorung people as the Yarra Yarra tribe and the Bunerong people as the Western Port tribe. The project will trace their history back to the time when the great marsupials existed; it will show the effects on their lives brought about by the severe changes in climate that occurred (eg the Ice Age from about 20,000 BC to 8000BC). It will tell of their way of life, their beliefs and their culture and finally of the devastating effects on them of European settlement. It will be a study of the peoples who inhabited this area based on both recorded histories and the traditions of the clans. The Rev James Clow was the the first squatter in this area. He was a very interesting and liberal man and his attitudes towards the aboriginal people were enlightened. J S Kerr, Duncan McRae, Edward Barry and Thomas Dargon. When the pastoral leases were opened up to closer settlement following the passing of a series of Land Acts in the 1860s, new people steadily moved into the area. In Rowville: Bergin, Gill, Golding, Kelly, Row, Sheppard, Sutton and Taylor. In Lysterfield: Barry, Battersby, Brandt, Buckley, Charsley, Dickson, Elsdon, Hyden, Lyster, Powell, Selman, Strettle and Walker. In Rowville: Alberni, Bickerton, Crawford, D’Andrea, Dobson, Drummond, Dunscombe, Exner, Finn, Fordham, Gearon, Gibb, Hicks, Hill, Kellett, McIntyre, Manley, Masterton, Raymond, Seebeck and Tampe. In Lysterfield: Asling, Bailey, Broughton, Coad, Coggins, Coster, Daniels, Desmond, Dicker, Donelan, Foy, Gaskett, Gillies, Goodsir, Hayes, Hill, Hine, Hobbs, Kinrade, Knowles, Lewis, Lizza, McDougall, McQueen, Moore, Newton, Pearson, Pitson, Reynolds, Simpson, Stewart, Taylor, Thomson, Toms, van Brummelen, Walker, Watson, Williams and Wright. From the late 1950s urbanisation reached Rowville with the development of the Stamford, Seebeck and Twin Views housing estates. The trickle of new families became a flood during the 1970s and 80s as housing estates were developed in all parts of Rowville. By the late 1990s almost all Rowville land had been built upon and developers were beginning to move into the green paddocks of Lysterfield. When Batman and Fawkner led a group of settlers across Bass Strait from Tasmania in 1835 to found a village on the banks of the Yarra River, the lives of the aboriginal people were to be disastrously affected. Relations between the newcomers and the indigenous people were generally good at first but, with the influx of increasing numbers from Tasmania including a number of runaway convicts and other undesirables, steps were taken by Captain Lonsdale to protect the tribespeople from unsavoury influences. In October 1837 Christiaan De Villiers was appointed to set up a Native Police Corps at a site chosen by the aborigines themselves. This was on the Dandenong Creek at “Nerre Nerre Warrene”, a location nowadays known as the Police Paddocks. The Corps under De Villiers was short-lived but in 1842 Superintendent LaTrobe appointed Henry Dana to revive the project and under his strong leadership the Corps became an important and successful institution in colonial Victoria. The expeditions of the Corps ranged all over the colony. The discipline and the good bearing of the troopers brought favourable regard to the Corps from all levels of society including the aboriginal people themselves whose young men sought to be recruited into its ranks. The Native Police Depot at Rowville continued as a very important centre up until the death of Henry Dana in November 1852, after which the Corps was disbanded. The site was retained as a stud for police horses and later for horses for other government services such as the fire brigades. In the 1880s aborigines brought from Queensland to assist in the tracking of the Kelly gang were based at the depot. Trackers continued to be recruited and based there until the 1930s. Part of the site was divided off to form Dandenong National Park (later known as Churchill National Park) while the balance known as the Police Paddocks is now managed by Parks Victoria. After William Lyster drained the swamp in the Lysterfield Valley he introduced dairying as a viable farming venture on the rich alluvial flat lands there. Later the creek flats were used for growing vegetables for the Melbourne market while on the poorer soils away from the flats Brussells sprouts came to be the preferred crop. In time Rowville and Scoresby became the major sprouts growing area in Australia. Apart from the sprouts growers, most of the farmers had holdings of small acreages that were run as mixed farms with some dairying, grazing, cropping and market gardening. Don Collins ran a very large market gardening enterprise until he sold the land for the development of the Silkwood Rise Estate in the 1980s. A sawmill was established on the east side of Stud Road north of Kelletts Road in the 1940s and from the early 1960s factories (notably Stegbar) were developed in that area. The McMillan factory south of Wellington Road was a major manufacturer of components for heavy earth moving equipment and at one stage in the 1970s employed over 200 people. However, competition from cheap imports forced its decline and the business was closed and the buildings demolished to provide a site for the Myer Direct warehouse in the mid 1990s. In the 1980s the Laser Drive area (off Kelletts Road), and Viewtech Place (off Wellington Road) were developed as light industrial estates while on the other side of Wellington Road the large land holdings of Kingston Industries have been developed as sites for distribution warehouses. Two major dairy processing factories have been built along Jaydee Court. to the boundary of Stamford Park, the land will be similarly used. The Gilligan family developed Rowville’s first shop from a roadside stall in the early 1960s. As the housing estates developed most of them included a milk bar/mixed business but it was not until the mid 1980s that the two major shopping centres – Stud Park and Rowville Lakes – were constructed. A number of the businesses on the light industrial estates also provide goods and services direct to the public. The quarries are located to the south of Wellington Road. The Pioneer Quarry is within Rowville but the three quarries further to the east along Wellington Road, all now owned by Boral, are at Lysterfield. The first of them, the most easterly, was started by the Stewart family in about 1923. It and the central quarry were closed down many years ago when it was feared that their operation would pollute the Lysterfield Reservoir. The remaining quarry (known within Boral as the Dandenong Quarry) has been excavated to a depth of over 400 feet and produces each day 2000 tonnes of hornsfels plus 7000 tonnes of “soft rock” suitable for land fill. Education is big business in Rowville. See SCHOOLS below for the details. The first golf course to be established in Rowville, the Waverley Golf Club, was opened on 23 November 1963, a date that will always be remembered as the day that President Kennedy was assassinated. Since then Churchill Park Golf Club has developed a 27 hole course, Tirhatuan Park Public Golf Course has grown first to a 9 hole course and finally to an 18 hole layout and Kingston Industries have produced a beautiful links course north of Wellington Road. Add to these the Waverley Pitch & Putt Golf Centre just to the west of Dandenong Creek and the soon-to-be constructed Waterford Golf Course along Monbulk Creek in North Rowville and we can see that Rowville can seriously lay claim to being one of Australia’s major golfing locations. As well as providing the area with fine recreational facilities and wonderful green open spaces the courses are an increasing source of employment opportunities for local residents. The first sale of Crown land within the whole of the present Knox region occurred on 4 October 1855 at a public auction in Melbourne. Fourteen allotments covering almost all of the land in present day Rowville were put up for sale but only three – all within the area bounded by Stud and Wellington Roads and Dandenong Creek – were actually sold. In the following year one of these properties was acquired by James Quirk and two years later he sold the 424 acre property to Frederick Row for one pound and ten shillings an acre. Frederick Row was a wealthy wool broker moving up in colonial society and he bought the property with the intention of turning it into his country estate. He named it Stamford Park after an estate of the same name owned by the Row family in Lincolnshire. Family tradition holds that Frederick’s second son, Edward, built the homestead in 1882. The home became a focus for social events with between 20 and 30 guests accommodated over Christmas and the spring racing season. The famous actress Nellie Stewart was a frequent guest and she married Edward’s younger brother Richard. Leading members of Melbourne society including the Governor, Lord Hopetoun, were other guests at Stamford Park. Edward became a successful horse breeder and several of his jumping horses such as Mahonga and Cedric were champions in their time. In 1901 a catastrophic fire destroyed the stables and most of the horses were killed. Because of his deteriorating health Edward sold Stamford Park to Thomas O’Keefe in 1910. A Queensland pastoralist, Jack Murray, owned the property throughout the 1920s and up to 1932. 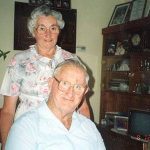 Jack and his wife, Belle, travelled down to Rowville each year to avoid the heat of the Queensland summer. In 1932 Jack sold to a Malvern dairyman, Aloysius Drummond, who established his large herd and a modern dairy on the property. In the early 1950s a wealthy race horse owner, Alfred Stevens, came to live in the homestead and he was often seen driving around Rowville in his Rolls Royce. The property was sold to developers in the early 1970s and Stamford House was on the verge of demolition when Knox Council stepped in to rescue it and retain it for future generations. Australian troops of the 3rd Motor Brigade moved into the Rowville Military Camp on 18 May 1942. They were to be used as a strategic reserve in the event of a Japanese invasion in the Westernport area. When the likelihood of such an event had passed the soldiers were moved out in September 1942. After this the camp became a base for American troops until 1944 when the first of the Italian prisoners of war captured in North Africa were moved in. The camp was never a high security one but the prisoners were instructed not to go beyond certain points on Stud and Wellington Roads. By June 1945 prisoner numbers had grown to about 300 and the role of the camp was changed to that of a staging camp which meant that all prisoners being moved from camp to camp or onto farms as labourers were processed through the Rowville camp. A total of 2,600 prisoners passed through up until 1946. Sadly the camp was under the command of a man who was temperamentally unfit to be in charge of such a camp and there were many complaints about his behaviour. On 30th March 1946, well after the end of the war, he shot dead one of the prisoners, Rudolfo Bartoli. Of the more than 18,000 Italian P.O.W.s held in Australian camps throughout W.W.2., Bartoli was the only one to be killed by a camp official. The first school in Rowville was established for aboriginal children at the Native Police Depot in the 1840s. It did not last for very long, however, because the families could not be induced to remain permanently at the depot. There were so few children in Rowville over the next 130 years that no school was built and the few local children went to either Scoresby, Mulgrave or Lysterfield State Schools. Lysterfield State School experienced its ups and downs because of fluctuating enrolments. It opened in 1877 but was closed in 1884. It was opened again in 1887 but only lasted until 1893. The school was started once more in 1907 but in 1912 it burned down, so once more the pupils had to walk to Mulgrave or Scoresby. In 1918 classes were held in a small church and then in 1920 the pupils moved into a brand new building. The school continued as a one teacher school up until the 1980s when enrolments from a rapidly growing Rowville pushed the numbers beyond 100. In December 1996 the last classes were held in the old weatherboard building and in February 1997 a new school commenced on the Lakesfield Estate. Rowville Primary School commenced on its large bushland site in early 1973 and grew to be one of the largest primary schools in the state before the pressure was taken off it with the opening of Park Ridge Primary School followed by Karoo and Heany Park. St Simon’s Catholic Primary School started up in the early 1980s on its site at the corner of Wellington Road and Taylors Lane . Rowville Secondary College was constructed on the same site as Rowville Primary School. It opened in 1990 and grew so rapidly that a second campus was required (at Park Ridge) by 1995. 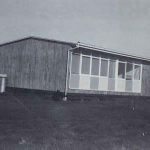 Rowville’s first kindergarten opened in 1970 on a site in Wellington Road. By 1975 pressure for places led to the opening of a second wing and by the early 1980s new kinders were springing up on the new estates in Eildon Parade, Taylors Lane North, Park Ridge, Pitfield Crescent, Murrindal Drive and Liberty Avenue. Much employment has also been created in the several child care centres established in Rowville and Lysterfield while many parents are involved in the organization and running of the many play groups that have been set up throughout the district. Educational, Churches, Sporting, Service, Youth, Environmental and Miscellaneous. Space does not permit a full listing of them here but full details can be found in directory produced by Knox City Council. However, as an example, some of the educational organizations and groups are listed under the SCHOOLS section above. R-LCNEWS articles and are included in this project. As time goes by, and especially when the clubs and organizations reach certain milestones such as the 25th anniversary of their founding, the histories of more of them will be written and included. Furthermore, the “back end” facility will allow the recording of current information about any of the clubs and organizations whose members wish to avail themselves of the opportunity. Thus, for example, a tennis club could each year register such details as its committee members, team members, results, fund raising, social events etc. Such documentation over a number of years will provide an accurate ongoing historical record of the club that will ensure that its story is retained even if minute books or other records are misplaced – as they are so often are. The Rowville-Lysterfield History Project is a major undertaking for our community and any of you who are interested in becoming involved in it in any way at all are warmly invited to do so. Please give me a call. I found the book interesting. I am the granddaughter of Augusta Mosig who married Frederick Schultz at St. James CofE Dandenong. October 1874. 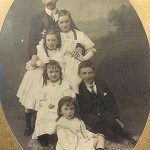 Frederick and Augusta (Fanny) had children:- George, Frederick, Adelaide,Percy, Carl, Herman(Mac who was my Dad, died 1948 at Pakenham)&Louis.I would like to know any relative, especially any child of Tilly Mosig who married a Richard (Dickie) Scholz/Schulz. Tilly was Augustas sister I believe.